The Mason real estate market could still use more choice for buyers. Prices are stable, time to sell is relatively short, but there's definitely a scarcity of affordable homes for buyers to choose from. Stay with us for more details for Mason homes! Is the activity affecting your Mason Ohio home's worth? 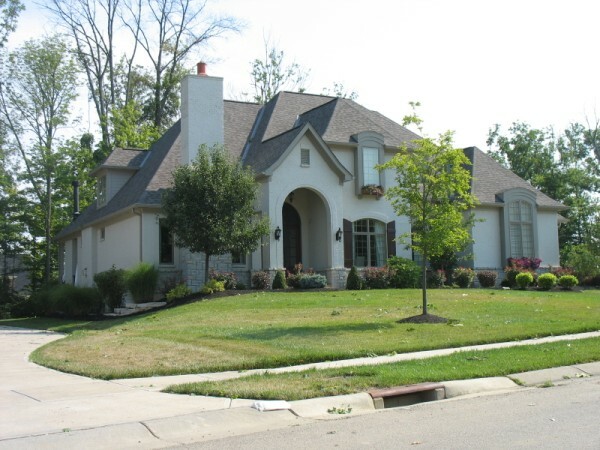 Stay with us for all the details and even Search Mason Ohio Homes For Sale links at the end! We'll cover Mason condos in our Mason Ohio 45040 Condo Market Report July 2018. All data is derived from the Cincinnati MLS system and involves only Mason homes sold with REALTOR® involvement and entered in MLS. All data is for the Mason School District area, so is not limited solely to Mason city limits. Next is the Mason median price summary chart. What are the key takeaways this month? Don't read anything significant into the price drops. June was an exceptionally high priced month and July is more a return to "normal" prices when compared to the last few Julys. There are some signs of the typical slowing down: the number of homes not under contract increased, the number of homes under contract decreased. This is to be expected this time of year. Time to sell decreased slightly on average, but median time to sell stayed within one day of June's 13 days. Affordable housing is still scarce and if you want new construction for the most part you're going to need a budget of $500k or more. 15 homes sold for more than $500,000, and that includes 1 for over a million. New construction communities are staying busy with Roberts Park, Hudson Hills and Ambleside Meadows moving quickly. Need help buying any new construction homes, just give us a call at 513-520-5305. We work for you and NOT the seller and the good news is it doesn't cost extra for us to work for you (and you don't get a price break for going solo). Distressed properties (foreclosures and short sales) remain almost nonexistent in Mason! None of the 73 homes sold were distressed, and only 2 of the 256 not under contract are distressed. So what does this mean to you as a Mason single family home owner? No reason to change last month's observations: It depends on your price point. The affordable homes will still move quickly. The more expensive homes are competing with new construction so you have to make the deal appealing enough for buyers to skip building new to order. There is an abundance of homes for sale priced $400k and up. Keep in mind, buyers still aren't keen on homes that show their age or feature decor from 20+ years ago, so the more up to date and the more compelling your asking price, the more likely buyers will flock to your door. For an evaluation of your home's marketability and worth, please contact us 513-520-5305 or Liz@LizSpear.com. So what does this mean to you as a potential Mason home buyer? No change here either. The best homes move quickly. Even with the increase in homes for sale, there are some segments of the market lacking choice. Of the homes on the market, some have notable problems (busy roads, etc.) that will make them unsuitable for most buyers. Move fast and bid strong or expect to lose out on the best homes. A weak offer may mean you're going to keep looking even longer. We highly recommend do NOT wait to write that offer or you may lose the chance to own that home. The longer you wait to purchase a Mason home the more likely it's going to cost you more to buy later. When you're interested in buying a Mason home, please contact us at 513-520-5305 with your needs and we'll help you find the right Mason community for you! And get yourself a dedicated buyer's agent, whether for resale OR new construction!! The listing agent works for the seller, and when you hire us we work for YOU. We have incentive to get you the best possible price! anyone who wants to buy or sell in Mason Ohio should certainly just call Liz and Bill Spear to get the job done!